Made from an original 1922 recipe, this pecan lover's Strudel will melt in your mouth. The buttery Danish yeast dough is hand rolled and generously filled with fresh pecans in a rich and chewy caramel-like coating. The finishing touch is a final dip in a butter praline icing that is out of this world. Pecan Praline Strudel, two 1 lb. 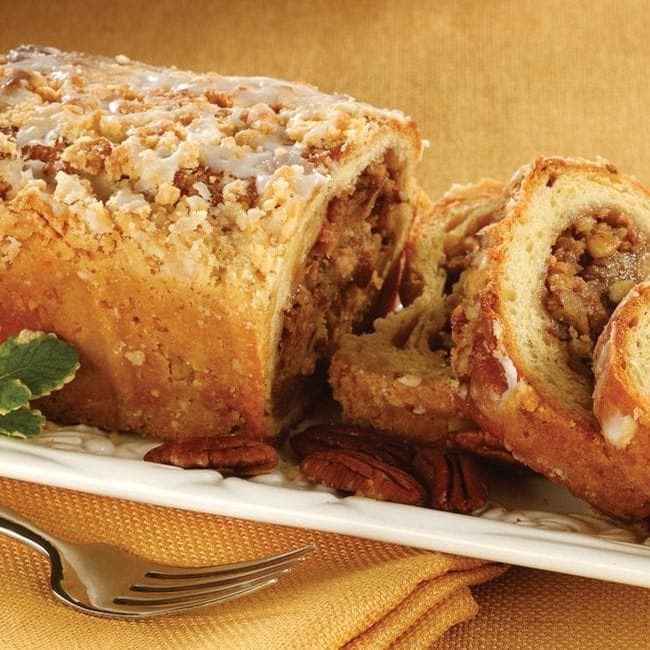 Pecan Praline Strudel, 1 lb.